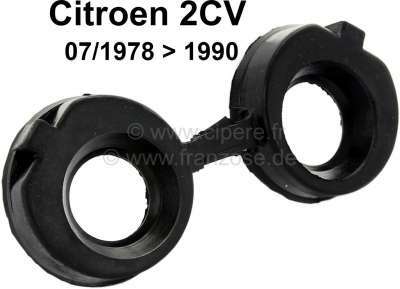 Valve push rod tube seal, for Citroen 2CV6 starting from year of construction 07/1978. Per piece! Manufacturer original "GLASER". 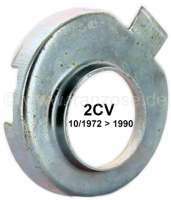 Follower tubing seal - sheet metal plates, for Citroen 2CV6 starting from year of construction 10/1972. Suitable for the follower tubing seal with narrow connecting post. Per piece!